Vintage Elegant Created Pearl Crystal Flower Studs FLOWERS with CREATED PEARL CENTERS Flower Stud Pierced Earrings. 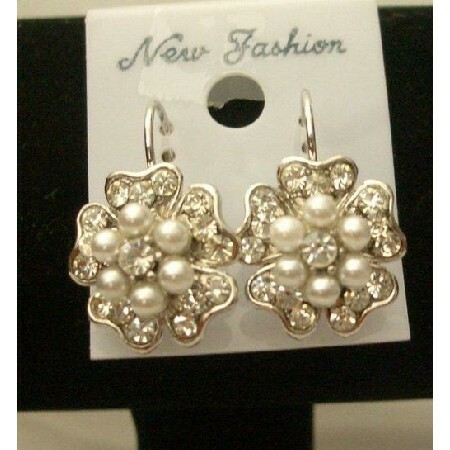 These are cutie flowers will make your ears sparkle with beautiful flower pearl faceted each center! A brushed silver finish adds depth & interest to the flowers. The flowers drooping while wearing! Classic & Stylish stud Pierced Earrings. These HOT En-Vogue Earrings are a must have for todays fashion accessory. Pierced earrings are a great look for both day & night! !.